Here at finefurnishings4less you can leave the hard word to us and get your beautiful Made to Measure Curtains and Blinds, made to your exact requirements, delivered direct to your door. Professionally made to measure curtains and made to measure blinds can help make your home warm and cosy. 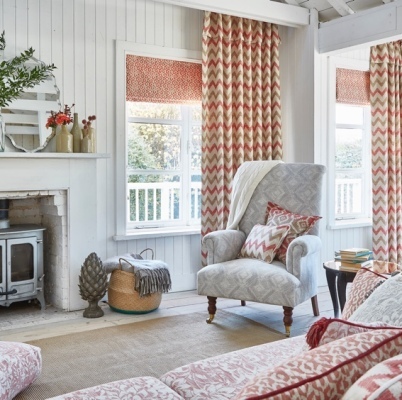 To start creating your perfect set of bespoke curtains or bespoke blinds please choose from our large range of fabrics, then use the interactive calculator to take you through the various options to give you a final price. Of course you may have special requirements for example borders or trims or would just like some friendly advice. Please feel free to get in touch with us by calling 01249 750391 or email us.